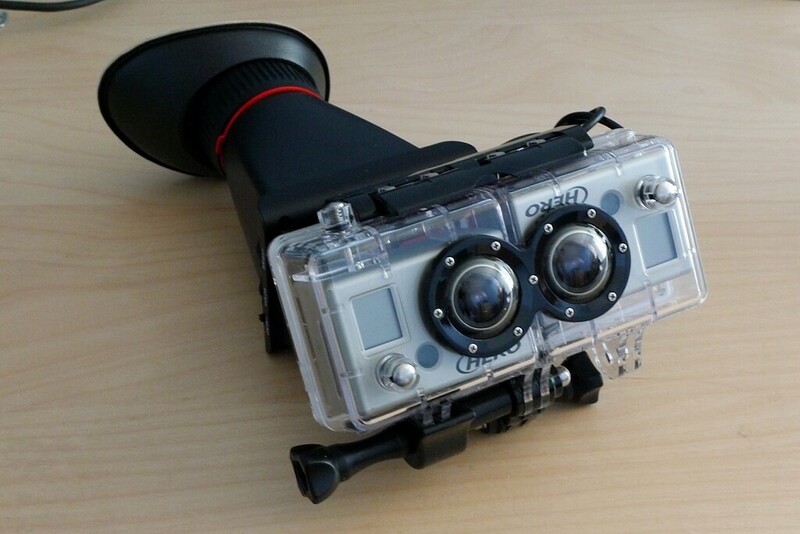 Clearly there is no better 3D camera system for POV shooting than GoPro Hero 3D kit. 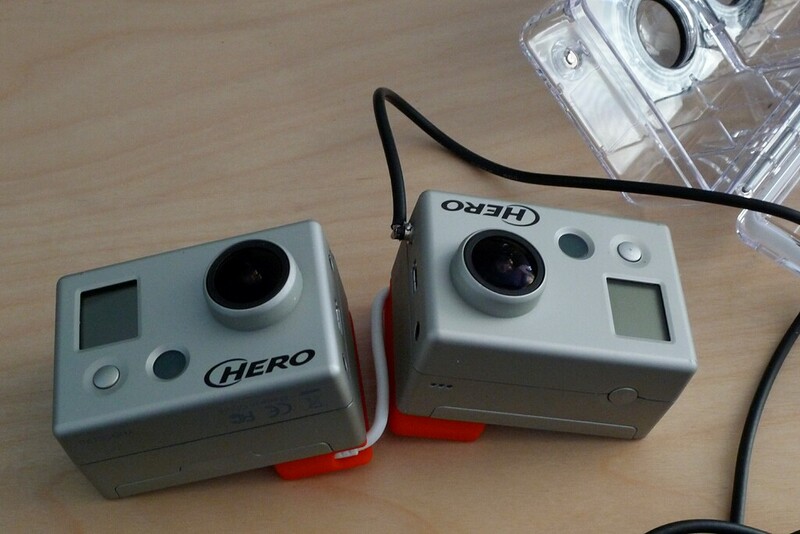 If you already have a couple of Hero HD cameras, adding $99 for the 3D housing, sync cable and accessories is a no-brainer -- you got to do it. But what about non-POV, hand-held shooting? 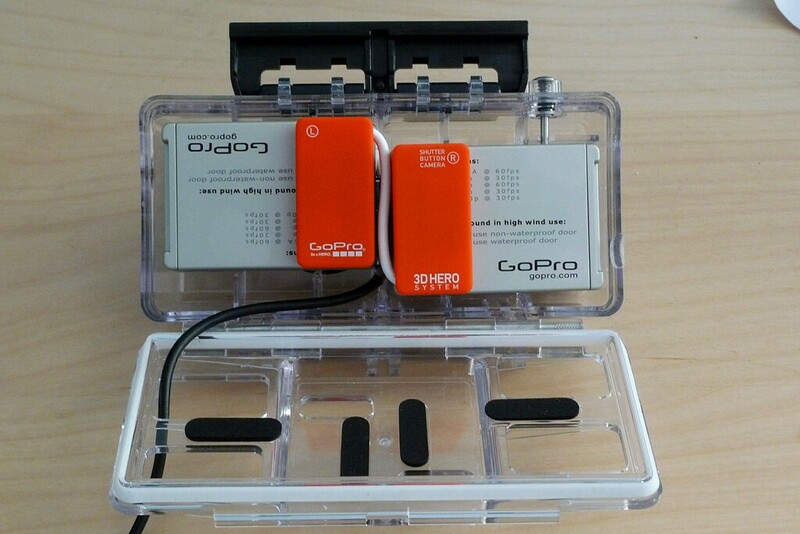 The 2D GoPro Hero HD allows you to add the LCD BacPac, for simple point and shot image framing, but the connector it uses (the HERO Bus™) is occupied by the sync cable required for the 3D to work. So we need to use the camera's video out drive another display. 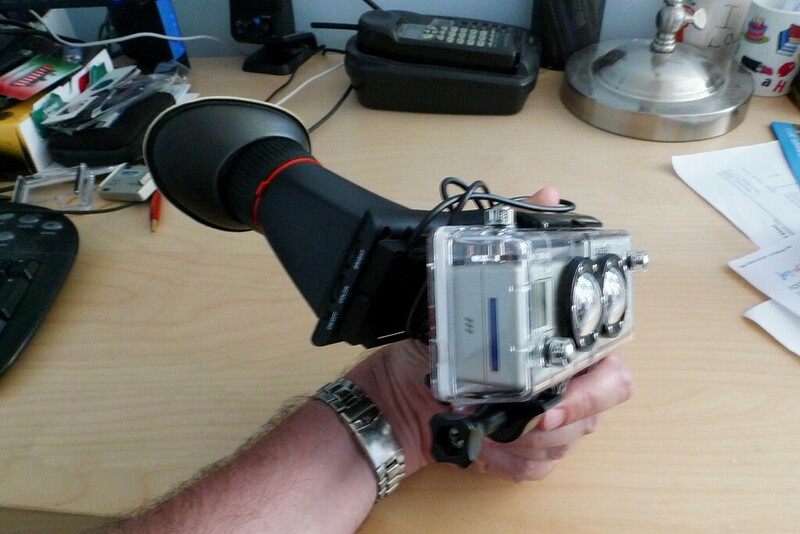 I saw someone with a 7" Marshall monitor on a 3D GoPro at NAB, so I knew it could be done. I believed they had modified the camera, and I didn't want to do that, plus I wanted to expend much less on the screen. 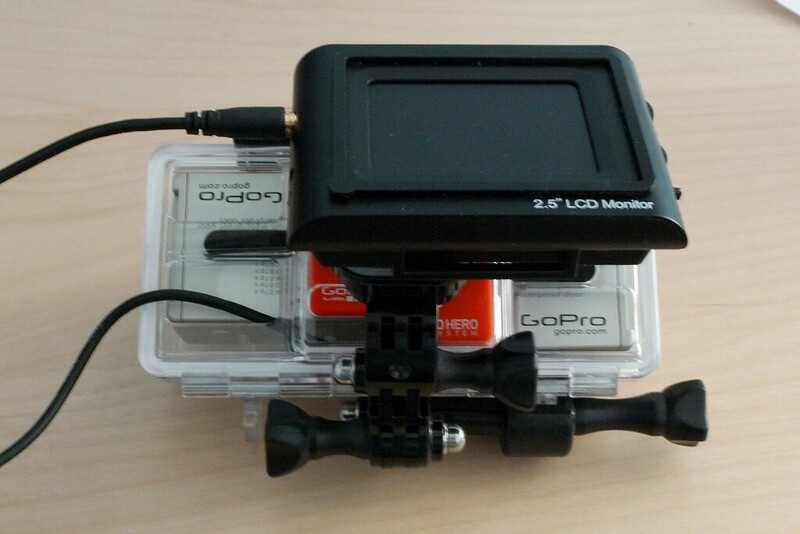 Also a large screen is not need for focus, everything is in focus on a GoPro. 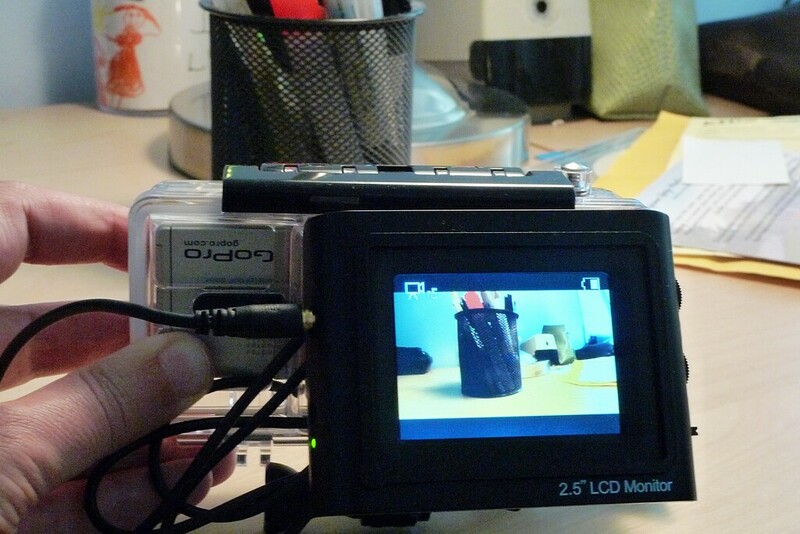 I found the perfect screen on ebay.com that was prompted as a "2.5" LCD WRIST CCTV CAMERA TESTER" with its own battery and NTSC/PAL video input, shipped for under $60. 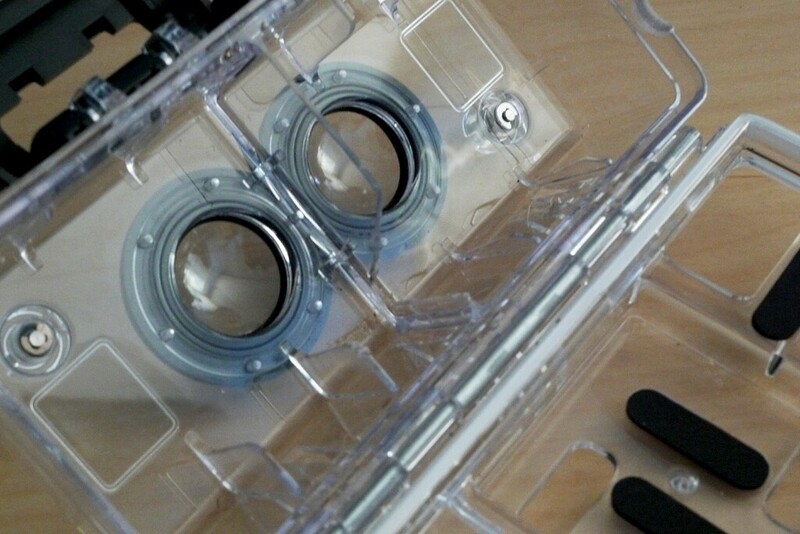 The technical issue is the video out is in-between the stereo paired cameras, but there is a little bit of room if you modify a cable and trim the 3D housing, the cameras are untouched. 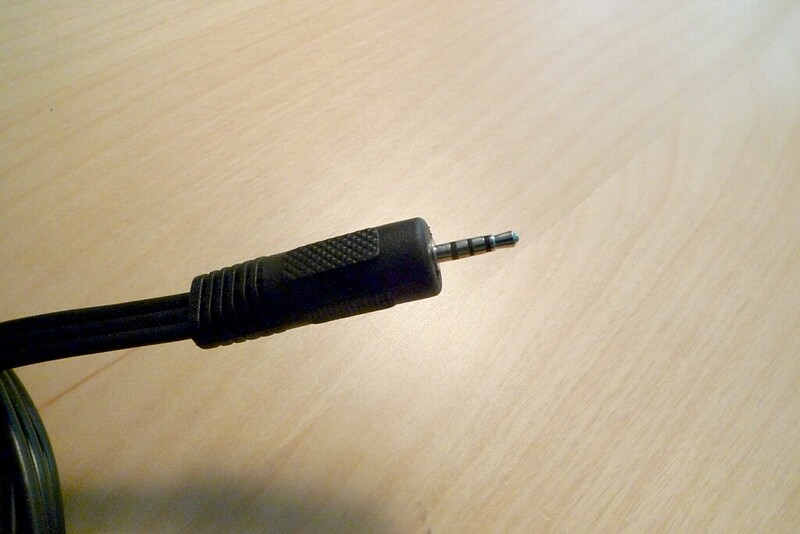 The video connectors are tiny, I didn't have any of this size, so I hacked the video cable that comes with the camera, taking connector down to it core by crushing the plastic connector exterior in a vice repeatedly until it basically fell off. Using wire cutters I trimmed off the solder pads for the audio (red and white lines) so only the solder pad of the video (yellow) connection remained. 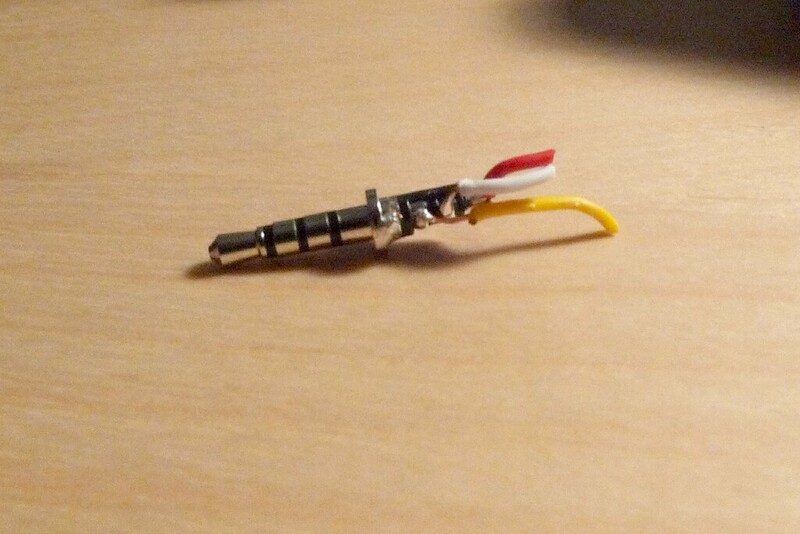 Now only about 3-4mm of the connector will extrude from the camera. I removed the BNC connector from the cable that ships with the 2.5" LCD and soldered the video and ground lines the remaining connector elements. 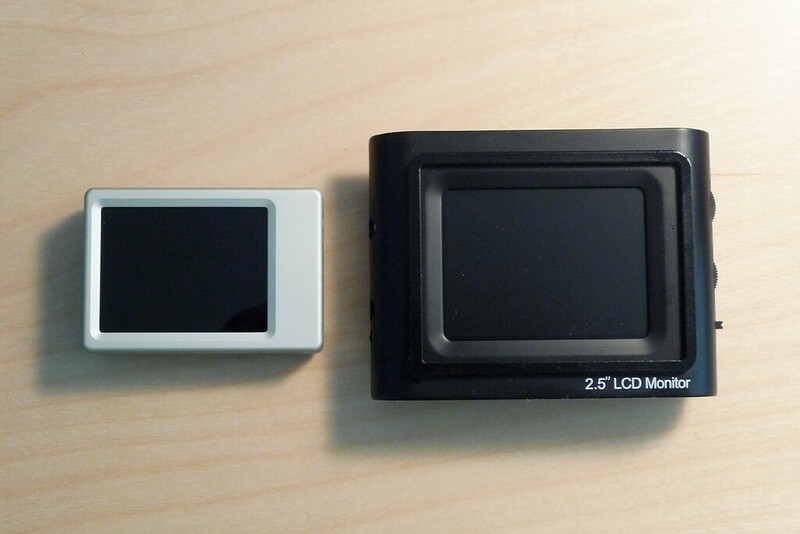 To mount the LCD, everything needed comes with camera or 3D housing. 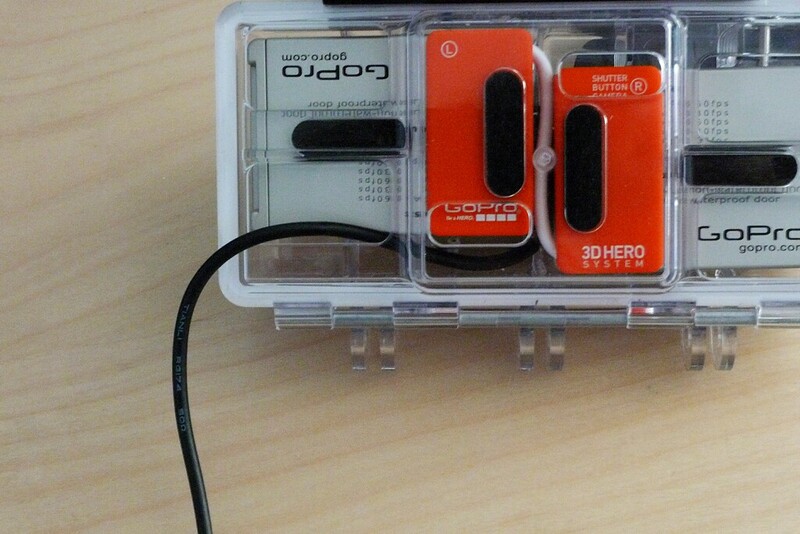 I used a flat sticky mount on the back of the LCD (on the lid of the battery compartment) and used the multi-jointed mount from the 3D kit to attach the LCD to the 3D rig. This allowed for nice controlled placement of the LCD. At this point I've only spent $60 on the LCD and used exclusively parts and accessories that came with the camera/3D housing. To make this one step better, I used a spare magnetic LCDVF mount, so I can share my viewfinder between my Canon 7D and my new 3D rig. This has been so much fun to shoot with.